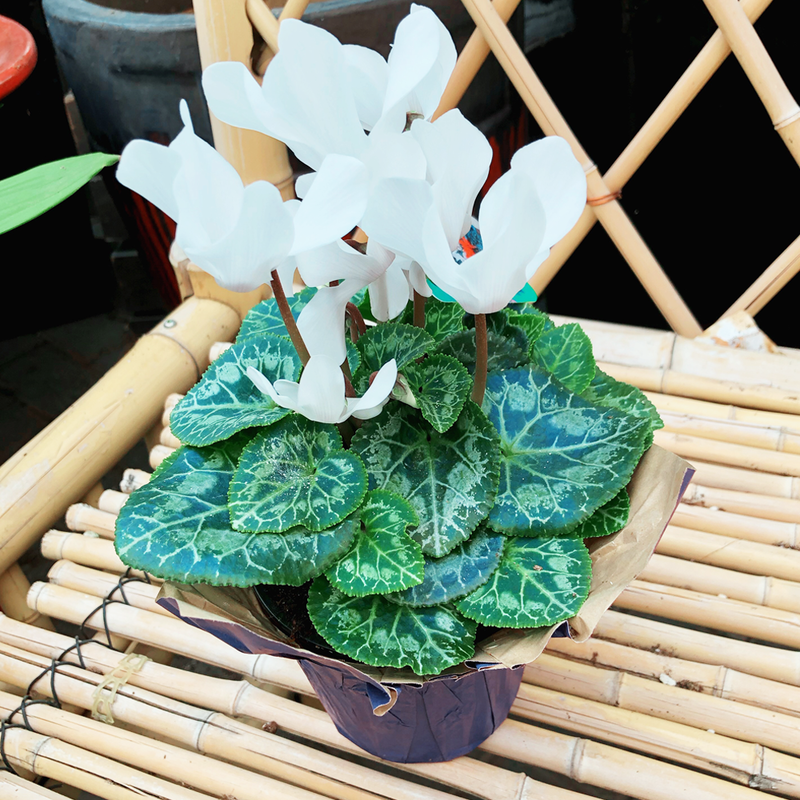 Cyclamens are Maury’s favourite bloomer, symbolizing sincerity and lasting feelings. They have beautiful variegated leaves and flowers available in pink, red, white and purple that some say look like butterflies! They prefer bright indirect light, and humidity. Water when the soil feels dry and avoid getting water on the leaves. 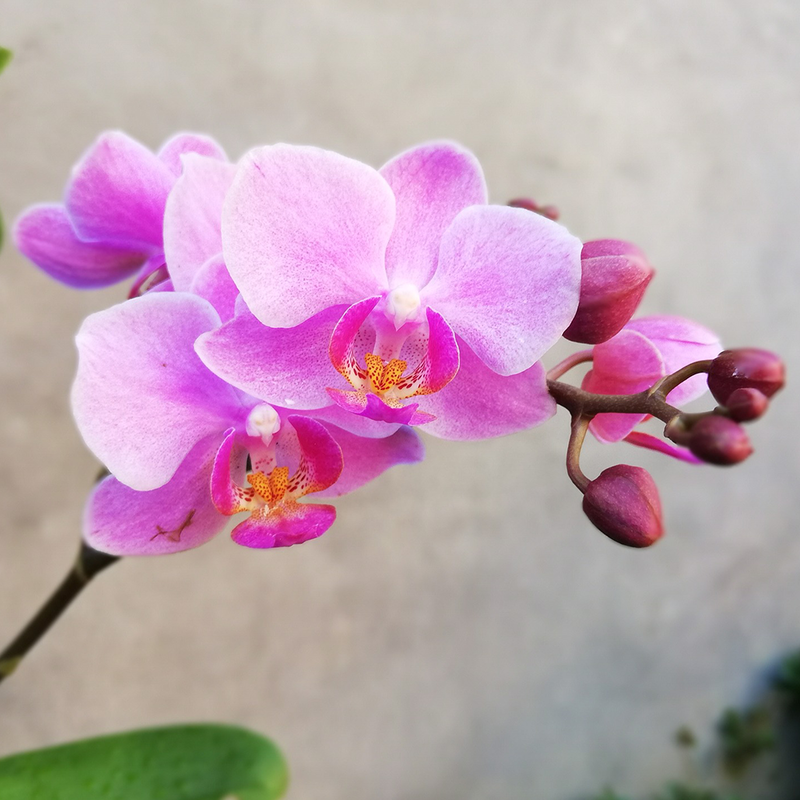 Orchids are a unique and long-lasting bloom representing beauty and luxury that can’t be beaten. 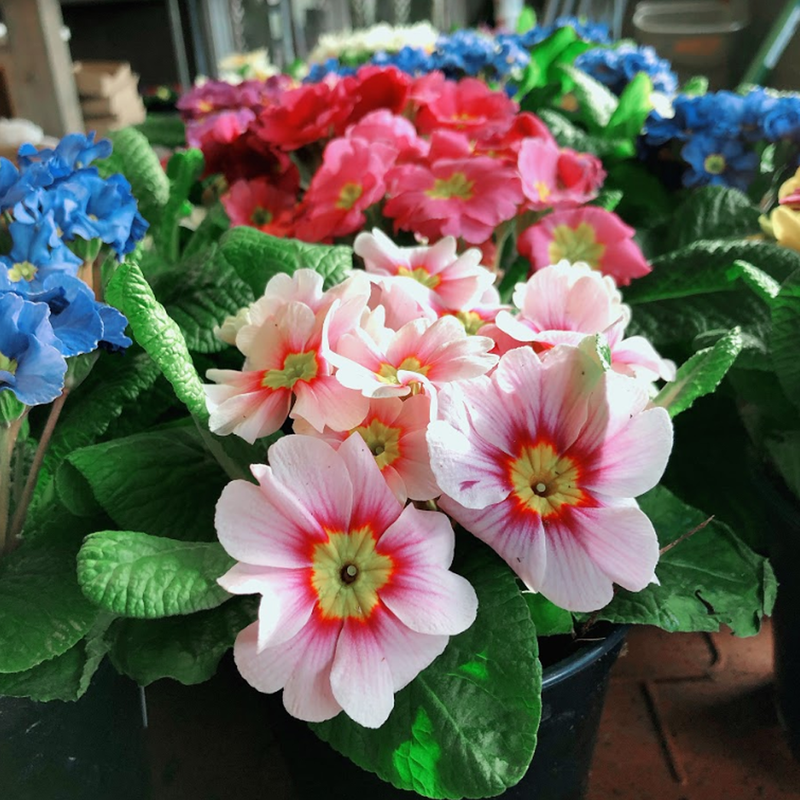 We carry a variety of colours, from white to purple to pink – even variegated! South and east facing windows are the best location for your orchid. Give them lukewarm water and regular feeding with Art Knapp 20-20-20. 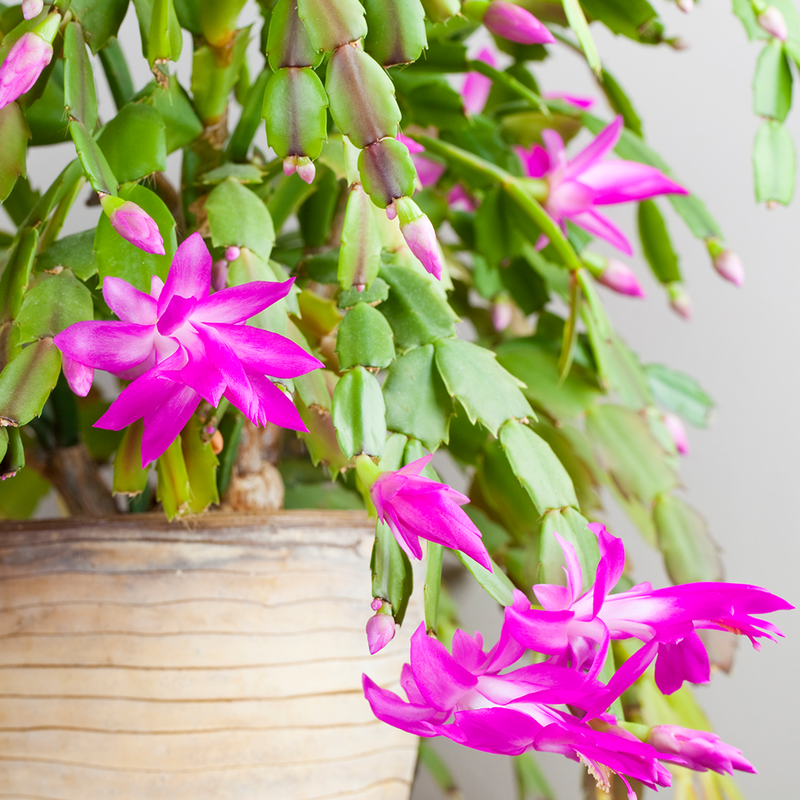 Also known as Christmas cactus, zygocactus has a unique beauty to it and is very easy care for. In fact, it’s so easy to care for that it symbolizes eternal life, as some people have had theirs for over 20 years! It flowers in winter, which is perfect for adding some much-needed colour – like pink, orangey-pink, red, and white – to your home. Your zygocactus will like indirect light and should be kept more moist throughout the blooming season. Symbolizing youth, primrose is edible and actually tastes like lettuce, but blooms in many colours from white to pink to purple, and all the way to red. Having one of these in your house will have you looking forward to spring! They like filtered sunlight,and watering when the soil is dry to the touch. 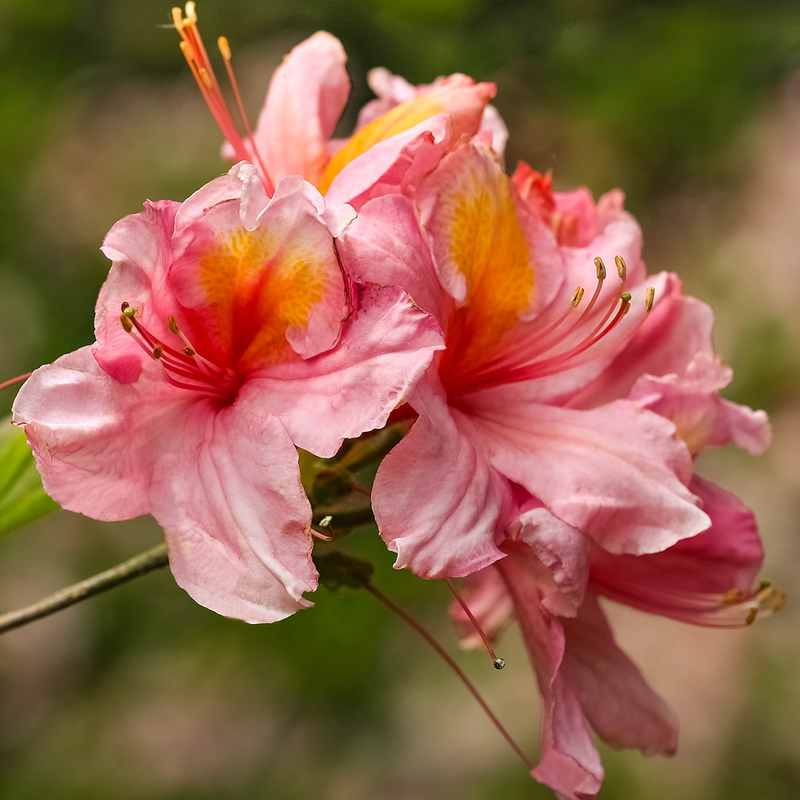 One of the most popular blooming plants, azaleas have beautiful, long-lasting blooms that symbolize femininity and softness. Misting is beneficial to these plants, and they like to be rootbound. Soil must be kept evenly moist, but not soaked, and good drainage is key, along with indirect sunlight.